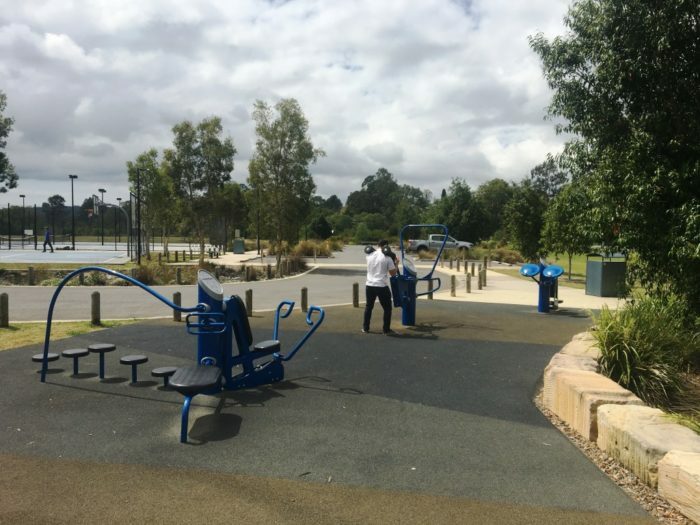 Completed in 2013, this park provided a new recreational facility for the residents in and around Shailer Park. 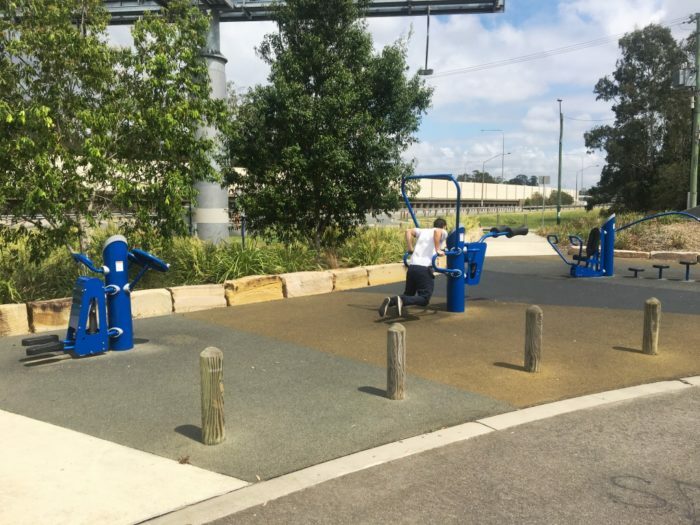 Alongside a new playground and skate park, basketball court and two full sized tennis courts, the fitness grouping of HealthBeat units completes the community facility offering parents and teenagers a place to work out in an community recreation setting. Included here are 3 combination units comprising 7 fitness stations. 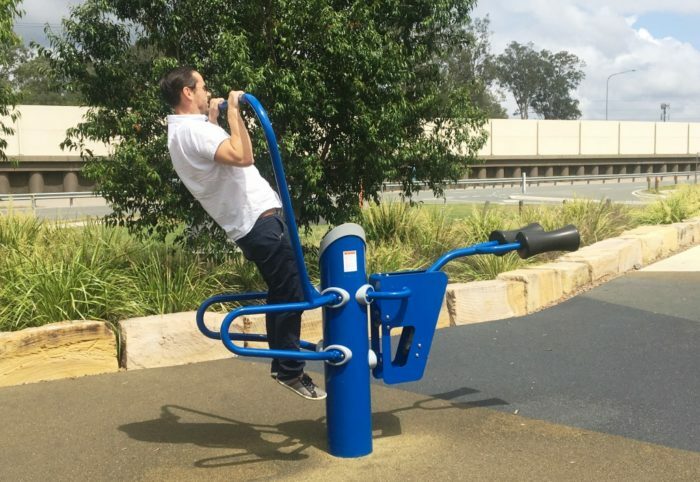 Each unit has one piece that has hydraulic resistance where the user can adjust the intensity to their own levels – providing a high resistance workout for the fit, or less resistance for those aiming to get there! 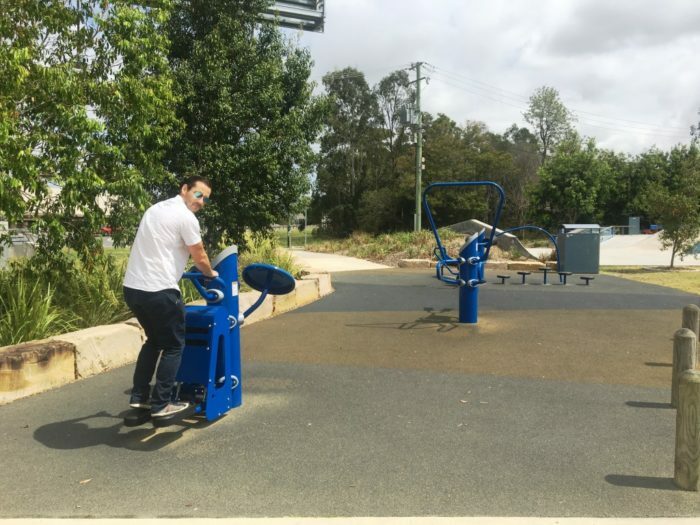 The first unit contains the Squat Press and Pull Up/Dip, the second a Cardio Stepper and Tai Chi Wheels, and the third a Chest/Back Press, Ab Crunch/Leg Lift and Balance Steps – all together providing a full body workout promoting healthier happier communities!